Just. So. Pretty. This is a short version of the Fleurette. It has ruffle details at the shoulders and an elastic wasitband. It's made with a lightweight Japanese crepe that drapes beautifully. 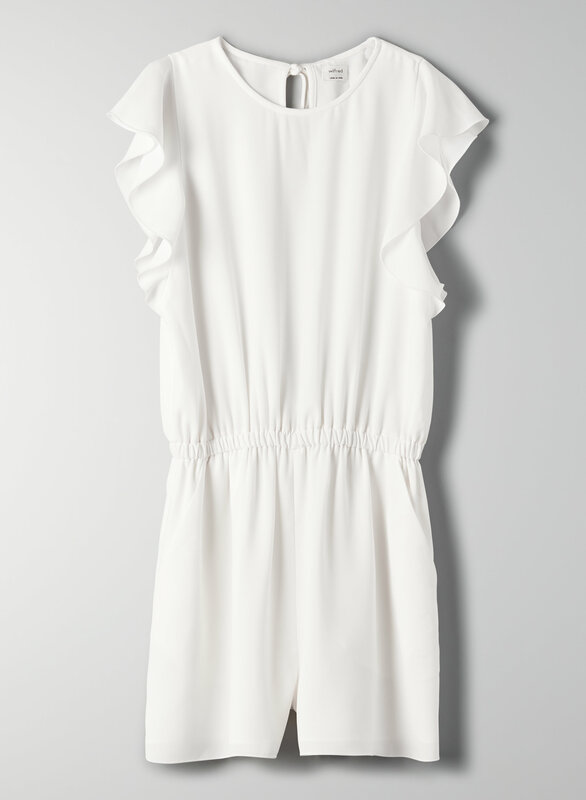 I love this romper!! It is adorable... I found the fit good to a little on the roomy size. It is very attractive on and I think will look great with heels! I like it so much I am ordering another colour!